We have one of the best winter combos - snow tubing and microbrews! Head for the snow tubing hills and complete the evening with dinner at one of the local microbreweries. The first night, enjoy dinner at a local restaurant, with 39 restaurants to select from, and a $35.00 gift card to Cherry Blossom 14 movie theater, which features an IMAX theater. The next morning, enjoy a full made-to-order breakfast before heading to the hills! 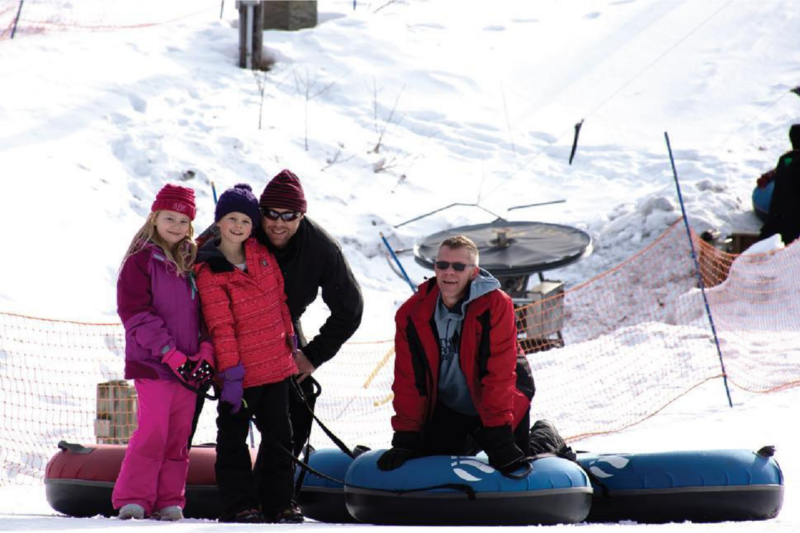 Enjoy a 2-hour pass for a fun filled time of snow tubing! The best part - you don’t have to hike back up the hill; instead, you will enjoy a gentle, scenic ride back to the top with their state-of-the-art handle tow. End the day with dinner at one of our local breweries - select from North Peak Brewing Company, Mackinaw Brewing, Rare Bird Brewpub, or the Workshop. Snow tubing is dependent on the weather. Check website for room selection and pricing.